I learned how to make risotto a few years ago, and it was life changing. Before I thought it was a dish that was way to complicated for me to ever learn how to make, but now I’ve learned a ton of ways to make it with different wines, vegetables and seafood. Since I’ve been experimenting with Progresso’s new Cooking Sauces, I wanted to see how they would do in a risotto dish. So I used Progresso’s Recipe Starters Creamy Portabella Mushroom Cooking Sauce to make this risotto. I added more mushrooms and Cannellini beans for protein. I like to think of this dish as an Italian style rice and beans. And the best part of this risotto is you don’t have to babysit and constantly stir it to get it nice and creamy, because the sauce adds tons of creamy goodness. It’s really a fool-proof risotto, and a great recipe to try if you’ve been intimidated about making risotto in the past. 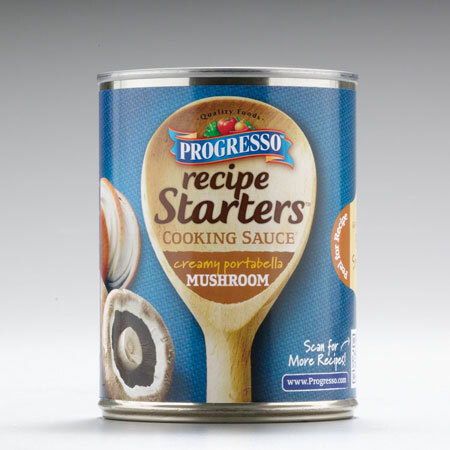 There’s 5 new Progresso Recipe Starters Cooking Sauce in total. Be sure to check in tomorrow, and I’ll share one more meatless recipe idea using this new cooking sauce. Heat skillet over medium heat on stovetop. Add risotto rice, olive oil, onion, garlic and mushrooms. Sauté until mushrooms are tender, onions are translucent, and rice is translucent on edges. Add 1 cup hot water to rice and stir. Cover rice and simmer, stirring occasionally until all water is absorbed, about 10 minutes. Add 1 more cup hot water and repeat. Add 1/2 of the cooking sauce and cover again, stirring occasionally until sauce is absorbed, about 10 minutes. Add the rest of cooking sauce and repeat. Add Cannellini beans and stir. Simmer until rice had absorbed liquid. Risotto is done when rice is thick and creamy. Spoon rice and beans into serving plates and garnish with fresh basil. For even more garlic taste, add two cloves minced garlic to mushroom and onions when sautéing. For more flavor, add 1 cup shredded Parmesan at the end of cooking. Stir in to melt before serving. 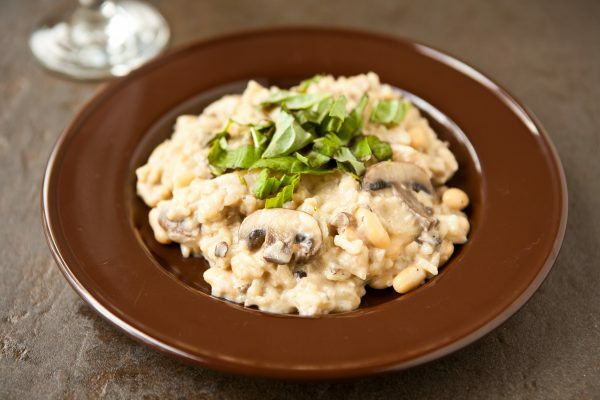 I love risotto and mushrooms – can’t wait to give this one a try! 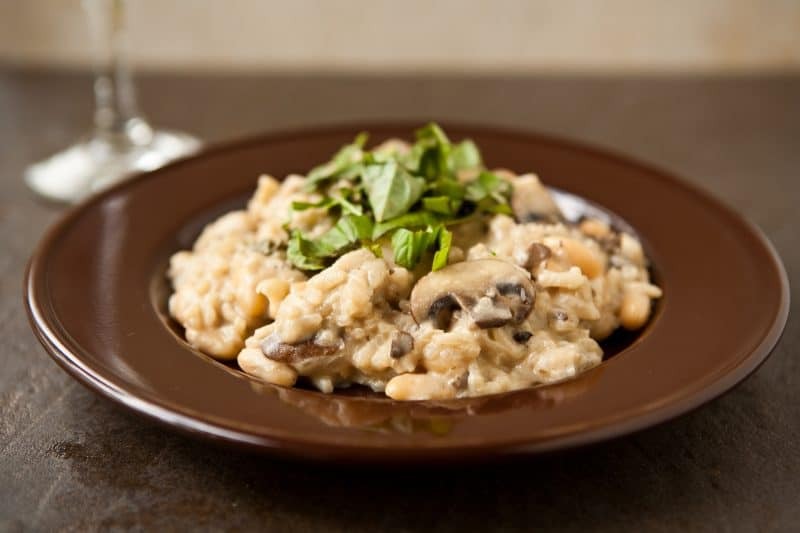 I absolutely love making risotto and this one looks delicious! I will have to try the starter next time I make some. Loving all of these simple meals Angie! I can’t wait to try some of these meal starters. 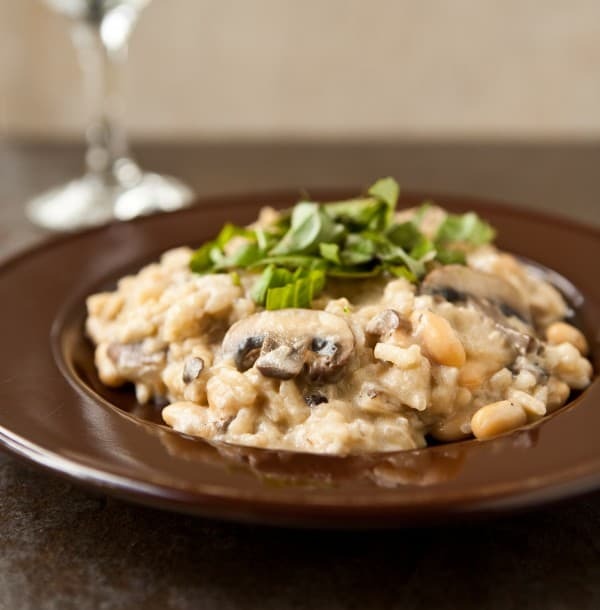 I have a fondness for mushroom risotto – okay, risotto in general. Learning to make risotto was life-changing for me, too. Now I throw in everything but the kitchen sink. This post is making me craving a big bowlful! Risotto is that test of a true cook, right? This looks wonderful! These Progresso Sauces look so good and I know the mushroom risotto would be so delicious! I haven’t tried these cooking sauces yet, but this looks delicious! Love the addition of fresh mushrooms! Can’t wait to try these cooking sauces, it’s definitely risotto for dinner tonight! I absolutely love this recipe! I had never had risotto until my hubby and I made this for the first time. We’ve made it three times now and it never fails to disappoint. We made it with some grilled Italian sausage one day and it paired incredibly well. I found your recipe through the Betty Crocker website, then came to your blog to look for more great recipes 🙂 I can’t wait to try more!